You have to wonder sometimes what planet the Mail has been on for the past couple of years. Journalists high and low have been fighting to protect Press freedom, arguing its work in the public interest and importance to democracy. The Mail has gone its merry way with a metaphorical finger in the air. It can afford to. While the rest of the industry has been trying to work out how to survive the digital age, the Mail has set itself up for a prosperous future with its stunningly successful website - sidebar of shame and all. It has today reported that revenue from the site grew by 50% to £41m in the year to September and that it is aiming to hit £60m in this financial year. This means that Mail Online is now making almost enough money to cover the decline in income from the printed paper. There is a 2% gap at the moment and managers expect that to close by 2015. Yesterday the site had 12.5m unique users - its best day yet. On seven of the past ten days traffic has been at or near record levels, even without big stories such as the birth of Prince George to drive it. So maybe the Mail doesn't care any more what happens in the world of print. Or maybe it has been emboldened by the internet experience. 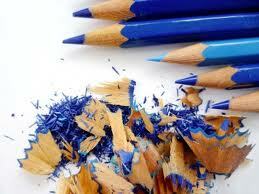 For it seems to me that the paper is getting nastier. This morning's coverage of the lottery winners' separation is built on the most shaky foundation of prurience, innuendo and sheer bitchiness. 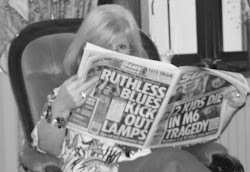 How can a national newspaper justify using a file picture of an ordinary woman - albeit an extraordinarily rich one - on its front page with a headline about rumours that it clearly cannot stand up? There is just so much wrong here, that it's hard to know where to start. Lotto wife? There's plenty of space for the word 'winner' instead of wife. Why is she an appendage? With the gardener? The rich lady runs off with the hired help. What larks. Except that she hasn't. And Gillian Bayford is not Lady Chatterley, however much the Mail wants to bring that fictional liaison with the gamekeeper to mind. Ah, so she was wrong about the split, it goes without saying that she must have been lying about the affair. Get on the case lads. 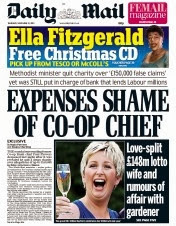 The intro on the page 5 lead is fairly straightforward: the couple have blamed the stress of becoming multimillionaires overnight for their decision to split. For some reason the word 'stress' is in quotes, as though the paper is questioning the notion that there could be any stress involved in being rich. Or that the money is a convenient explanation that the paper doesn't believe. 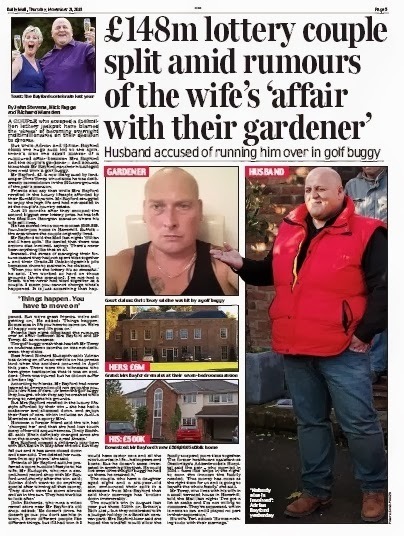 But while Adrian and Gillian Bayford claim the huge sum led to the split, there's also the small matter of a rumoured affair between Mrs Bayford and the couple's gardener - and allegations that Mr Bayford ran over his alleged love rival with a golf buggy. Unnamed friends tell the three (male) reporters put to work on the story that Mrs Bayford revelled in the luxury lifestyle afforded by their EuroMillions win, but her husband struggled to enjoy the high life and had not settled on their country estate. He had left the £6m Georgian mansion and now lived in a more modest £500,000 four-bedroom home. Both properties are pictured with 'his' and 'hers' red and white captions - just as they were in the Sun 24 hours earlier. Mr Bayford told the reporters that the stress of managing the fortune meant they had not spent time together - and their Grade II Cambridgeshire pile became a chore to maintain, he claimed. Don't you love the 'at the mansion' in square brackets, just in case the point hadn't been hammered home hard enough? Further down, friends (the same friends, different friends?) say that Mr Bayford was a non-driver and could not enjoy the couple's new fleet of cars or their golf buggy, which they say he crashed while trying to navigate his grounds. But Mrs Bayford revelled in the luxury lifestyle afforded by their win (again) - she has had a makeover and slimmed down, and enjoys their fleet of cars (again), which includes an Audi, a Mercedes and a sporty Mini. Well, that says it all, doesn't it? Mrs B is clearly a social pariah. On the website, the Mail has more space to run pictures of Mr Bayford's new home, including one of an indoor swimming pool and another of a grand piano in a conservatory. They aren't hard to come by once you know which agent marketed the property. A little internet research throws up further photographs showing that the piano makes little impact on the conservatory, which also houses a refectory style dining table with seating for ten, and that the various sitting rooms include a rather nice library. The agent's advertisement also tells us that the house was for sale for 'offers over £600,000' and that it has five bedrooms not four. None of this is to begrudge Mr Bayford his new home - it certainly is modest for a man with his sort of capital in the bank - but the whole tenor of the Mail's story is to depict a down-to-earth man licking his wounds while his vain, above-her-station unfaithful wife swans round like the lady of the manor. The most interesting thing is that while the front and inside headlines both make big play of the 'affair with the gardener', everyone in the story says there was no such relationship. Friends last night dismissed the rumours over an affair between Mrs Bayford and Mr Tovey, 40, as nonsense. Mr Tovey, who lives with his wife in a small terraced house in Haverhill, told the Mail last night: 'I've got a lot at stake and I'm not willing to comment. They've separated, which is news to me, and I played no part in their separation. Of course it is of no concern of anyone other than the Bayfords and the Toveys whether there was an affair or not. There is no way in the world a public interest defence could be offered to justify this story. 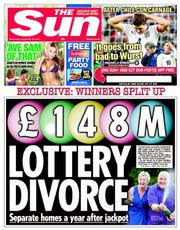 Especially since the Bayfords have two young children whose lives will have been turned upside down by the lottery win and further upset by their parents' separation. There is, however, a public interest in the fact of the split because it is important for us to see how huge wins such as theirs affect people. The comment thread on the Mail site reflects this - if you can disregard the 'all women are gold-digging hyenas' and the offensive remarks about the couple's physical appearance. Most readers are sympathetic and wish the Bayfords well; some note that people often find they have nothing in common when they are suddenly able to spend more time together. Others point to the freedom that money gives to couples who stay together because they cannot afford to part. There is no reason to disbelieve Mr Bayford's analysis that managing the money was too stressful. He closed his music shop four months after the lottery win because he couldn't cope with the constant begging. His wife started a children's play centre (with the former friend who has deleted her numbers), but swiftly abandoned it because she said she did not have enough time to devote to it. 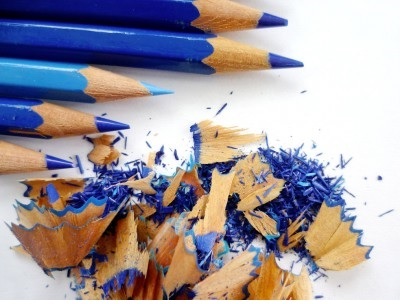 Managing money is stressful, whether you have too much or too little. The family bought a big house - as most of us would do if we had their fortune - and then discovered that it didn't run itself. We know they had help in the garden, but none of the anonymous friends mentioned anyone else working at the property. It is perfectly feasible that it was all too much and that it drove the couple apart. But the Mail didn't see it like that. The Mail didn't want to see it like that. It wanted to paint Mrs Bayford as the villain of the piece, even when her husband refused to do so. It littered the story with verbs such as 'denied' and 'claimed' to show where it stood, along with snide remarks about Mrs Bayford 'slimming down' and 'having a makeover'. As though it's the height of indulgence for a woman to spend a bit of time in the beauty parlour if she can afford it. Sadly, the Mail couldn't find space even for those few words.